This time on Steal of the Week we’re going to take a broad overview of the Steel Will brand. Established in 2008, Steel Will may be a newer company, but they’ve quickly impressed us with their high quality output of tactical fixed blades and folders. We’re going to start with a look at the Sentence line of fixed blades, which boasts an impressive variety of eight different models. 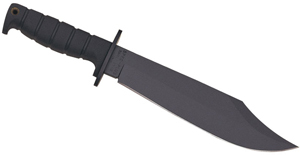 There are four blade styles available, a 5.33″ tanto with a flat grind, a 6″ tanto with a hollow grind plus a bit of a recurve, a 6″ clip point, and a drop point that’s about 6.75″ inches long. These are available in either a satin finish or a tactical black. Handles are G10, in black with the black blades and an OD green with the satin finish. There are some heavy grooves machined into the G10 which provide a really solid grip, enabling an overall hand feel that is as secure as it is comfortable. The full tang tapers down into a thick glass breaker tip with lanyard hole. Each knife in this line comes with a Kydex sheath, which has a paracord wrap enabling a little extra grip and giving you some bonus emergency paracord. Next up, we’re shifting gears from those absolutely massive blades to something more compact. The Censor is actually my favorite Steel Will fixed blade. The curved pistol grip is really ergonomic and feels great in the hand. There’s a lot of jimping along the spine, and the heavy diamond texture on the Zytel scales make for very confident handling, in forward or reverse grip. This line just has three different blade varieties. 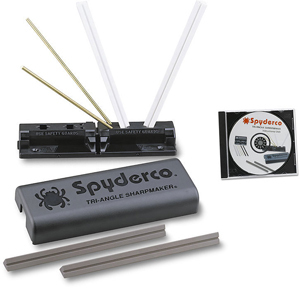 There’s a clip point, a modified drop point, and a spear point with false top edge. All three are again full tang with glass breaker and lanyard hole, this time made of AUS-8 stainless steel. The Censor knives also include a Kydex sheath. Now we’re going to get fancy with our next line, the Gekko. 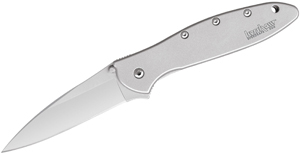 If the previous knives represent Steel Will’s more utilitarian tactical designs, the Gekko take things to a more elegant place. Made in Italy, these knives boast an upgraded steel and micarta handles. The handles have a great rounded shape, and the tang itself has been chamfered for a tremendously comfortable grip. Both of these fixed blades are drop points, in 4.33″ and just a bit over 5″. These knives include a really beautiful hand-made leather sheath with belt loop. The Gekko line also features our first folder, which is every bit as nice as its fixed blade counterparts. Handle is nearly identical, with the same micarta scales and much the same shape. Blade deployment is handled using the dual thumb studs and it’s a really smooth action. I usually prefer a flipper on my folders, but this opens so easily I don’t mind its absence on this model. There’s a nice wide, deep-carry pocket clip, which is reversible to allow for left or right side tip-up carry. And to round out our selection we have one more Italian-made folder, the Onrush. This is a great compact tactical knife suited for everyday use. While we have the clip point version here, a tanto is also available, both of which are three and three quarter inches long. Handles are G10 with some healthy texture, and there’s some pronounced jimping along the spine to facilitate both a forward and reverse grip. The pocket clip enables left or right side tip up carry, or if you’d rather carry it on your belt the package includes a cordura sheath.